On The Download: Pearl Jam's Fantastic "Fixer"
Pearl Jam will rock the Spectrum for the last time. Get your tickets for the final performance at the Spectrum on Friday, July 17. Singer Eddie Vedder keeps up a spirited burst of energy throughout the whole track, while belting out a memorable, immediate melody. So, you will find yourself singing along halfway through the first listen, and you don't stop — "Fight to get back again…yeah yeah yeah yeah!" -- I am singing it now! Simply, it's catchy. And here's why. 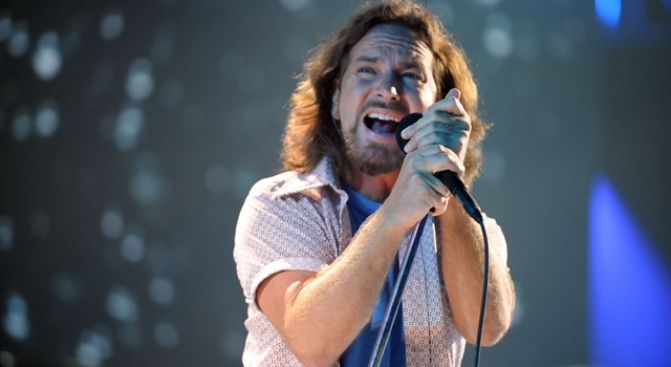 You can divide up much of Pearl Jam's music into two categories-- songs, whether fast or slow, that are based around Vedder's immensely unique voice and his gift of matching lyrics with melody, where he often seems to hang his soul on a stake ("Alive," "Release," "Daughter", "Betterman", "Come Back") with his passion — and songs that center around the group's love for 70s classic rock such as The Who and Neil Young, which therefore feature more straight ahead guitars and shy away from Vedder's soulful melodies ("Cordoroy", "Hail, Hail", "Brain of J", "Breakerfall", "World Wide Suicide"). As a fan, both categories are great. I am just recognizing each, and each of you are welcome to pick which category you like better…I flip, depending on day, weather, and mood. Luckily, on "The Fixer," the band finds a middle ground. You get the great rock riff without losing Vedder's melody…his soul. Heck, you can even understand what he is saying! And the result is one hot, memorable rock n' roll track. It's the band's best chance at a true radio hit in years — and a tantalizing taste of the new album. I want more… Sept. 20 can't come soon enough. Bring on "Backspacer!"